The edge of the lake closest to Waren centre is the busiest, and there are many families on the sandy beach. 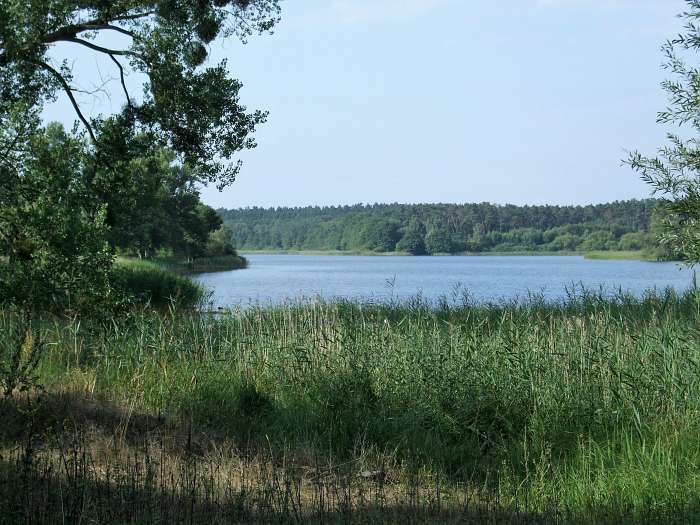 If you continue clockwise round the lake on the path that stays close to the shore, you reach a secion with grassy areas where you can sunbathe, and there are several entrances to the water for swimming. You will have to push past reeds at the water's edge. The grassy areas have some thistles - you'll need a blanket to be comfortable. Here is where people strip off to sunbathe and swim naked. I am not sure how official it is, but it seems to be tolerated - there were several people naked when we visited. What is your experience with "Feisnecksee"? How do you rate Feisnecksee in general?